One of the nice language enhancements to C# in the latest release (7.0) is the ability to return multiple values from a function. Although one could use Tuples for this purpose, it is not an elegant or efficient approach. For more details, see this article. 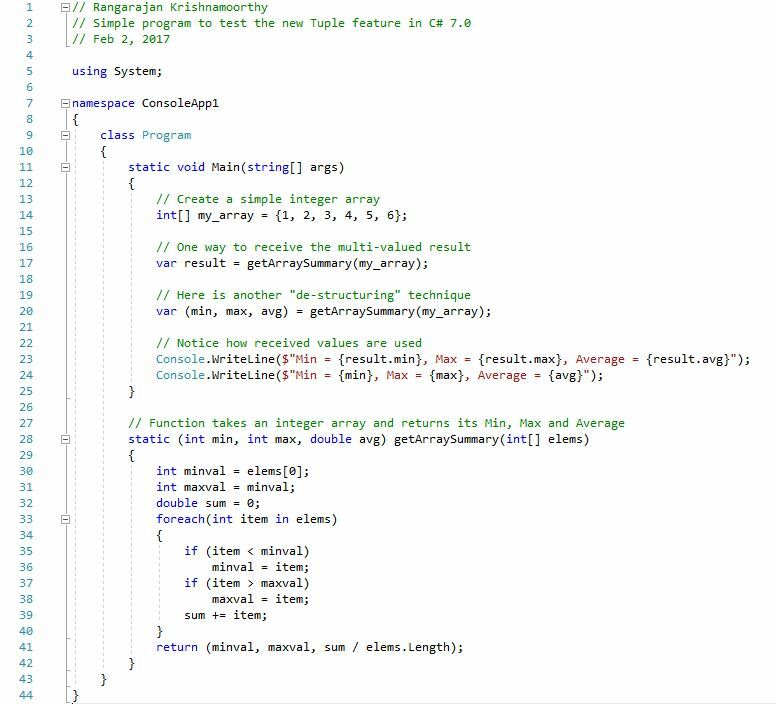 By the way, returning multiple values from a function is not unique to C#. It is available in many languages. In an earlier article, I showed how Lisp supports this feature. As you can see, returning multiple values from a function makes a lot of sense when the values are logically related. Just for comparison, I am giving below the same functionality implemented in Lisp. 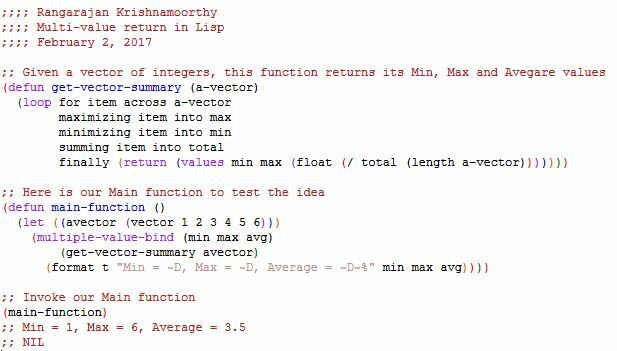 If you would like more details on this feature as supported in Lisp, take a look at this blog.